The Penti Ceremony in Wae Rebo is one of the most important ceremonies of the Flores cultural and spiritual calendar. Held in the Manggarai district, the Penti ceremony is a thanksgiving for the good harvest of the past year, and an expression of the hopes and wishes for a successful and abundant year to come. It involves many ancient rituals that are held throughout the day and night, and all village members, including those who live outside the village, are encouraged to return and be a part of this communal ceremony. The Penti Ceremony was traditionally performed every year according to the agricultural cycle. However ceremonial costs have become too high and preparation is very time consuming, which has meant that many villages are now choosing to have the Penti Ceremony every five years so that it maintains its ceremonial majesty. The ceremony starts at 8am at the main ceremonial house and from there the villagers split into three groups. Each group is led by four women who take the groups to the three main ritual locations. The first is the spring or river, which represents new life. The second is what is considered the village’s main entrance, which is where women pray for their husbands who work and live outside the village. The third location is the village backyard, which is where they pray for health and good fortune for all. These sites are considered sacred and as the ceremonies are communal, they are inviting the spirits who guard these locations to come and join in the ceremonies. The day involves a series of ritualistic practices such as martial arts, sanda dancing, chanting, music with gongs, and chicken and pig sacrifices. The sand ritual continues well into the night with the last part of the ceremony occurring at sunrise the next day. You are welcome to travel to Wae Rebo on this auspicious day however you must register your intentions and plans so that the village is aware of how many people are joining them, where everyone will stay and whether extra guides are needed. In central Flores, The Ngada Tribe performs the Reba Ceremony, also intended to thank the gods and their ancestors for providing for them over the past year, and to pray for future prosperity for the community. Typically, the Reba Ceremony lasts for three full days and nights, with rituals and ceremonies involving large amounts of food crops and livestock that were gathered and prepared in advance in the days leading up to the actual ceremony. The Reba Ceremony focuses on the village legend of their ancestors and elders who would search the land for the best places to farm their crops and animals. As they are inland, yams form a huge part of the crop so naturally many ceremonies feature this important vegetable. 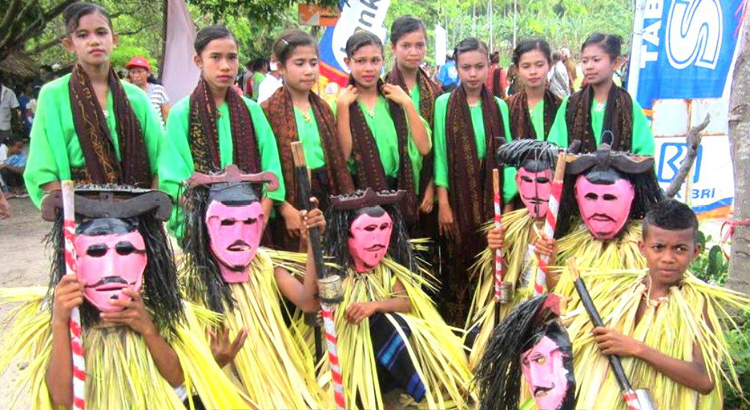 Another important festival on the Flores calendar is the Toja Bobu, a traditional dance-drama, telling the story of a beautiful but spoilt princess. The princess’s many suitors were all talented and hard-working men, however she wanted a life of ease and luxury, so she decided to marry a rich nobleman instead. This story was brought to the Sikka area by the Portuguese many years ago but as with many traditions, it is not performed as often as it used to be. The Sikkanese Sanggar Gere Vue cultural group are trying to revive these traditions and keep the stories alive by reinterpreting them through modern performance, without losing the integrity of the original story. For dates and more information about these ceremonies, please head to our website or get in touch by email. We would love to feature your event, whether a cultural ceremony, festival, farmers market or family fun day, so please contact us via email, website or Facebook and we will feature you on our calendar.